It’s simple to create a proof of your Canva artwork creation and send it out to a workflow. All you need is our browser extension. Our integration with Canva is a match made in heaven. 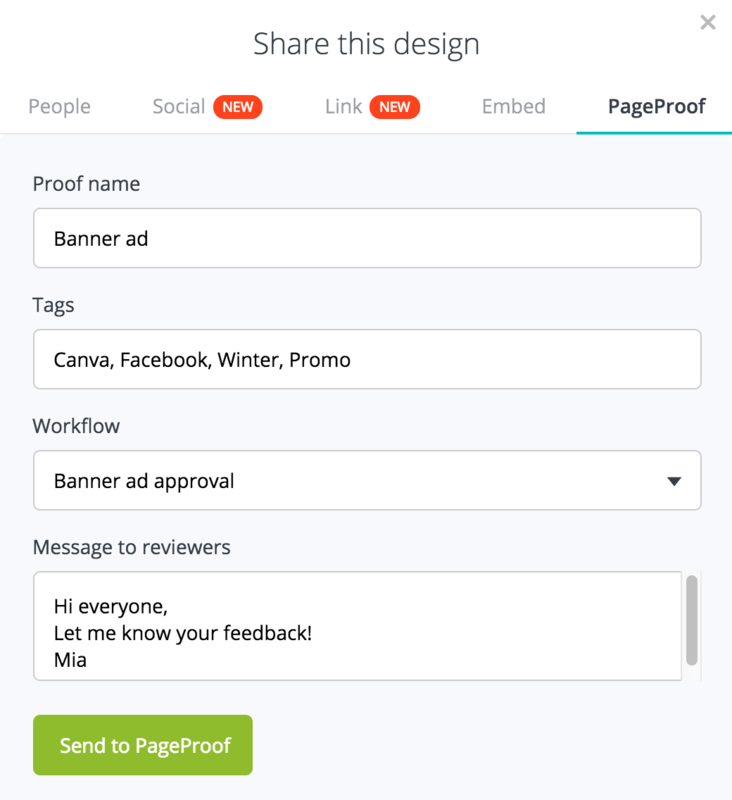 Not only can you create beautiful social media posts, posters and other marketing materials in Canva, it is just as easy to send them through a PageProof workflow for review and approval. Make you have either our Chrome or Firefox browser extension installed. In Canva, open your artwork creation and click the share button. Edit the default proof name and tags, choose your workflow and write a message to reviewers if you like. Click Send to PageProof.